Champex Lac is located in the Canton of Valais in Switzerland. The little village is nestled in a small valley at 1,500 metres with it's own lake on the edge of the Mont Blanc Massif in the French Alps.. 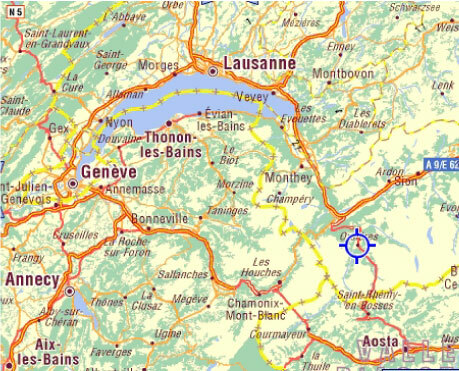 The Geneva airport is approximately 1.5 hours drive away. Champex is close to both France and Italy with Chamonix, France approximately 1 hour away and Aosta, Italy also approximately 1 hour away. One can also travel on Swiss Rail from Geneva Airport via Martigny to Orsieres, which is just a ten minute drive from the Chalet. There is a regular scheduled bus service from Orsieres to Champex Lac as well.